I’ve shared non-stick friendly tools and even flirted with non-stick as a topic, but I’ve never directly shared my non-stick picks here. I have (and love) my non-stick skillets. They are extremely excellent. I use them at least once or twice weekly, I am a sucker for a well cooked fried egg and a non-stick skillet is (by and large) the easiest way to achieve one. Here at Local Root I carry three that I love unabashedly. 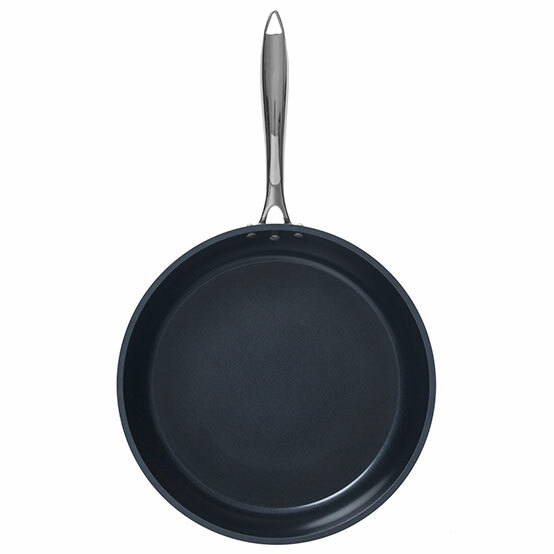 These encompass size, shape, and non-stick functionality as much as looks. 1. Mauviel M’Stone Fry Pan in 11 inch – The size and shape of this pan is something I’ve obsessed over since I started working here last fall. It’s small enough to easily fry an egg solo but big enough to cook an omelette for many people. I love it. 2. Kyocera Ceramic Non-Stick Pan 12 inch – I have this pan at home and I am NOT GENTLE with it at all. The poor thing has already been tossed around, heated up empty, thrown in the dishwasher, and had (gasp) metal utensils used in it. There isn’t a scratch in it and I still fry an egg in it most weekend days. And at this price point you don’t mind getting a couple. 3. Mauviel M’Stone Crepe Pan 11.8 inch – I love the Mauviel M’Stone finish and the versatility offered by a crepe pan is truly handy – for everything from crepes to pancakes, to grilled cheese and quesadillas. I find this low wide pan a great asset and one I reach for when I’m too lazy to properly plan for my evening meal. 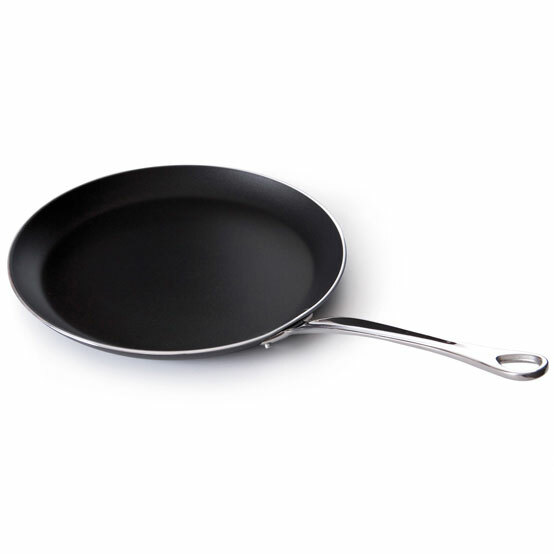 What are your favorite Non-Stick pans? Let us know!